Fresh ,air food & women. Troll hunting & pig feeding. finished with fine Ale & lurv'in it ! 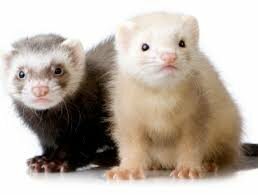 ferrets or polecats wanted, to good working home........ no youngsters please, looking for 2+yr old plus please preferably been working........ please mail me (Y) Leeds airport area Yorkshire , will travel to collect etc ..
can you call me pal- need wormers, & no internet here , very bad signal..cheers..